With over 25 years of Inspection and Project Management experience, Geoff is a certified home inspector, has a large wealth of knowledge and contacts in the renovation/construction field. When you have picked out the house right for you, you love the location, the yard, the layout or kitchen cabinets, but not so sure about the condition of the structure or how much longer the roof is good for, that's where Citadel comes in for you. We'll give you an opinion, so you know how much longer that roof should last. 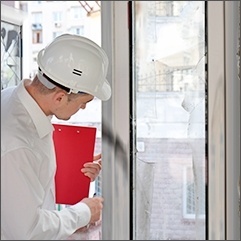 We will do a thorough inspection of the home followed by a detailed written report. That inspection report will help you know about any little defects or issues you may have overlooked. At the end of it, all that we do is PROVIDE YOU PEACE OF MIND that you know all you should know about your home. Thinking about selling your current home? 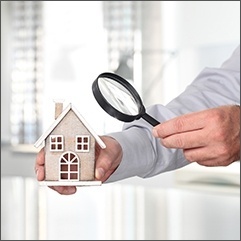 Want to make sure the buyer's Home Inspector does not find a problem? Because you know if he or she does it is going to cost you. Suddenly that offer of $X becomes a new offer of $Y. Why lose money on your home, have Citadel do a pre-listing inspection. We will let you know what should get done to your house, if anything, so you can MAXIMIZE the selling value of your home. Not buying or selling but have decided to do some upgrades or renovations to your current home? If you are not sure what actually is entailed in sound renos and quality of work by the contractor you've hired to do them, we can help you out there too. With our extensive years on the job, we know the difference between just looking good and being built to last on your home reno project. So, if you want a qualified and objective eye before, during or after the work is done call (613-334-9050) or email Citadel. We'll help you figure out your needs and customize a price for you and your needs. 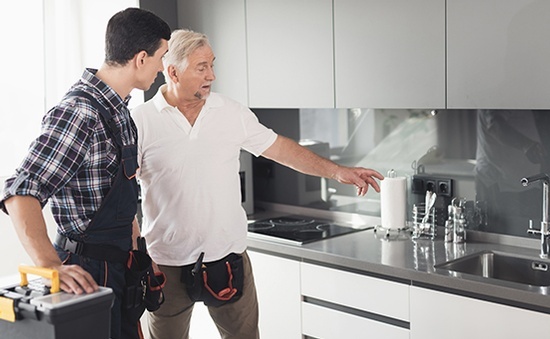 Citadel Home Inspections is an active member of InterNACHI (International Association of Certified Home Inspectors), ﻿ONTATIOACHI ﻿﻿(Ontario Association of Certified Home Inspectors) and WETT (Wood Energy Technology Transfer). Citadel adheres to the InterNACHI and WETT Standards of Practice and Code of Ethics. Access a sample report of the home inspection provided by our home inspector to our clients after their home inspection. 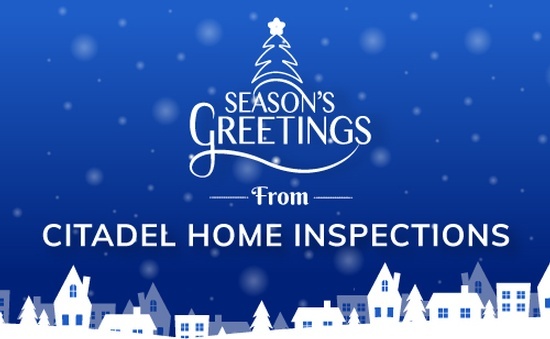 Certified home inspection services across Eganville, Killaloe, Foymount, Aylen Lake, Round Lake Centre, and Bancroft, ON. 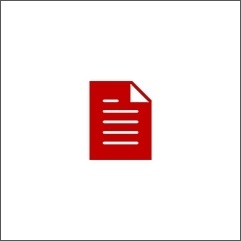 What if you have just suffered a devastating loss to your home? It has been raining like crazy the streets are filled with water and uh oh, the sewers are backing up into your basement, or the washing machine hose ruptured and there is water everywhere or a pot caught fire on your stove. You report it to your insurance company and they send out THEIR preferred contractor to clean it up for you. But you have questions, you're not sure it's being done properly. You didn't choose the contractor the insurance company did. So who is that contractor really working for? Citadel will come out and do a thorough inspection of the loss and the work done by the insurance company's contractor. Geoff has worked in the industry in that area for over 2 decades and knows what to look for and has the equipment and gadgets to measure the moisture content of damaged areas making sure it's being done right. If it's not getting done right we will outline what should be getting done to get your home back to normal as quickly as possible. We'll help you figure out your needs and customize a price for you and your needs. From me, Geoff and my wife, Cheryl, we wish everyone a very Merry Christmas, a safe Holiday Season and a Happy New Year! May 2019 be a great year for everybody! 12 Coe Island Lake Road Bancroft, Ontario K0L 1C0 Canada.